The spot where kids are encouraged to look under rocks and use their active inquiring minds! Looking for unique family adventures and a destination so packed with family fun that your kids won’t even notice they’re unplugged? Bruce County is just the spot. With epic hiking trails, amazing scenic lookouts, miles of sandy beach and great rainy day options, your crew will be creating memories from sunrise til sunset. Here are a few ideas to help you plan your getaway from the everyday. 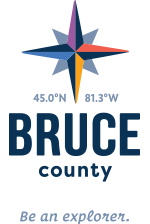 With the Lake Huron shoreline running up one side of the peninsula and the sparkling waters of Georgian Bay running along the other, there are plenty of amazing beaches to enjoy in Bruce County. If you’re looking for family friendly swimming along sandy shores, head to the main beach in Sauble Beach. Take a swim, stroll the main strip and let the kids blow their allowance at Giggles Arcade. It’s no surprise that the legendary Bruce Trail runs right through Bruce County, to its ultimate finish in Tobermory. There are some amazing family hikes along the trail. Buy yourself a Bruce Trail Guidebook or download the Bruce Trail app to choose your route. While the hikes in The Bruce Peninsula National Park are very popular (the hike to The Grotto is perhaps best known), there are many other opportunities to get your family on the trail in quieter spots like Lion’s Head, McNeill’s Mansion near Wiarton, The Bruce Caves and Purple Valley. Wear sturdy shoes, pack snacks, water, a camera, a phone and the guidebook or app to help you find your way. Did you know you can surf the Great Lakes? In recent years there’s been a surfing resurgence in the town of Kincardine and Station Beach is the place to catch all the action. When the Northwest winds blow, the waves can build to impressive heights, drawing surfers from across Ontario and the U.S. An annual competition has solidified Kincardine’s place on the surfing map. When it’s too rough to swim, watching the surfers and paddleboarders can be its own great family adventure. Visit the home of Wiarton Willie and spend a few hours at the Bluewater Park Splashpad. Wiarton is a beautiful town on the shore of Georgian Bay with great downtown shopping and restaurants, a beautiful waterfront park and family friendly Bruce Trail hikes nearby. Just off the beaten path in Tobermory, you’ll find Little Cove Adventures—home to a high ropes and low ropes course that will challenge your family and test your limits. You’ll be climbing from tree to tree, swinging from tire to tire and zipping from rope to rope with the help of your guides and safety equipment. There are even camping cabin accommodations for those who’d like to use Little Cove as their home base. The high ropes course is suitable for those age 10 and up while the low ropes course is geared to ages 6 and up. Find out more here. With a great lineup of children's programming and summer exhibits, the Bruce County Museum & Cultural Centre in Southampton is a great family destination. Packed with local and marine heritage, the museum offers hands on children’s experiences that will leave your kids asking to come back on your next vacation. Check out their website at www.brucemuseum.ca for a full schedule of events and exhibits. This interactive experience, will leave your kids asking when they can visit again!